World War, 1914-1918--Literature and the war. 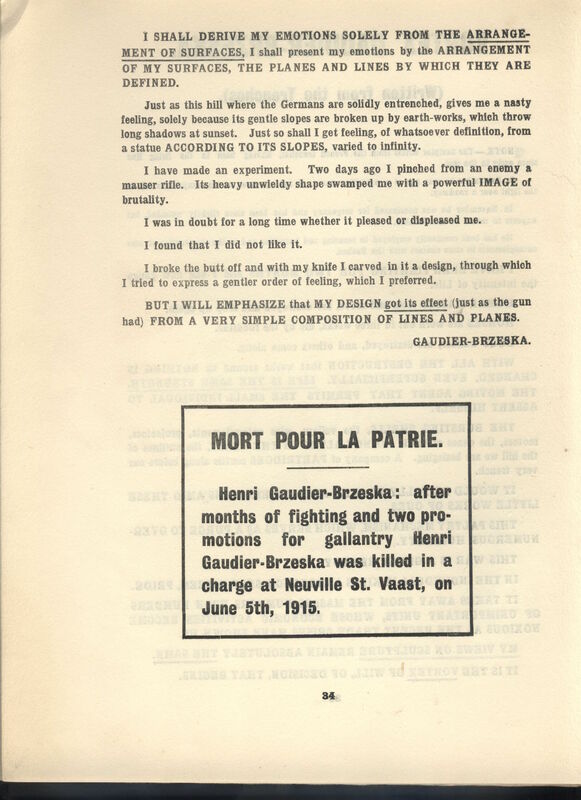 First page of Gaudier-Brzeska's Vortex (Written from the Trenches. 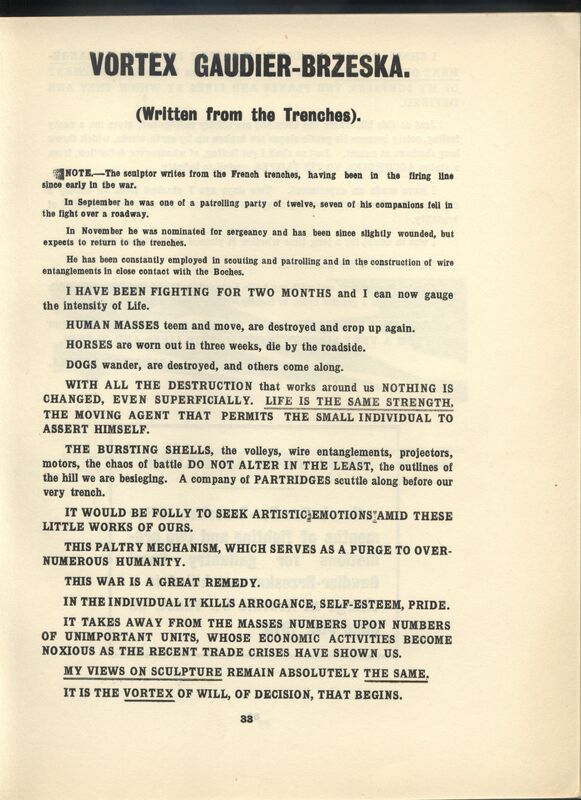 The piece is a Vorticist manifesto praising the war as "a great remedy." 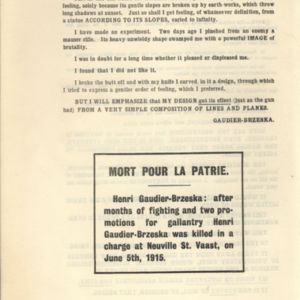 A death notice on the second page, titled "Mort Pour La Patrie" or "Death for the Fatherland," informs the public that Gaudier-Brzeska died in the trenches on June 5, 1915, just a month before the magazine was published. 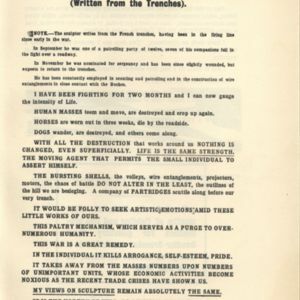 Henri Gaudier-Brzeska, “Vortex (From the Trenches),” UVic Libraries Omeka Classic, accessed April 21, 2019, http://omeka.library.uvic.ca/items/show/1161.